If you want to play Paintball and you live in and around Gants Hill look no further Mayhem paintball is around 10-15 minutes from the centre of Gants Hill, we are just the other side of Chigwell. You can also get the Central Line tube to Theydon Bois station where Mayhem offers a free pick up and return to the station. Mayhem was established in 1987 so we are one of the most established paintball venues in Europe, after 26 years we have created what we like to believe is the best venue in the Uk, with amazing fields, great equipment, Conference rooms, Showers, Brick built toilet’s, and the free London Central line pick up and drop back to Theydon bois, you will not be disappointed. 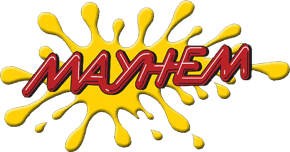 So if you fancy coming to Mayhem to play or look around from Gants Hill call us on 01708 688 517 or email us for more info we would be more than happy to show you around.